The blog hop is going so well! There are already 165 entries and 12 more hours to go! 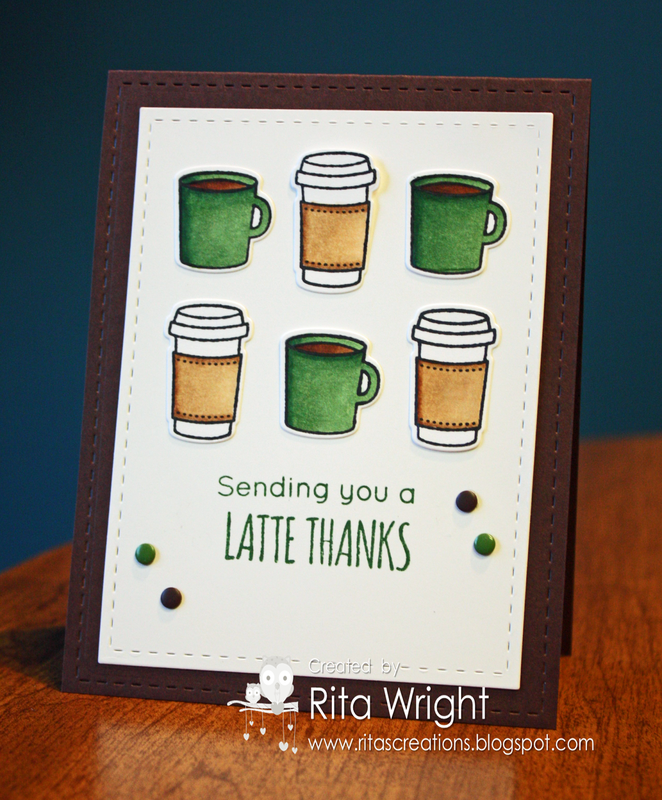 I guess a lot of us papercrafts love our coffee and coffee stamps! lol I actually made two cards for the hop, so I thought I'd share my second one around the halfway point. 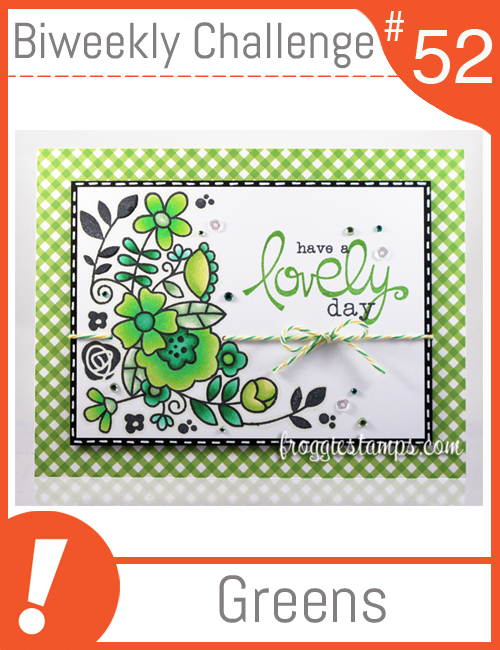 For this one, I used the new card kit from Simon Says Stamp! I was so excited about it being coffee this month. :) It came with this adorable little cup die and I am already totally in love with how cute that is! I used a Bo Bunny set for the splatters on the side. 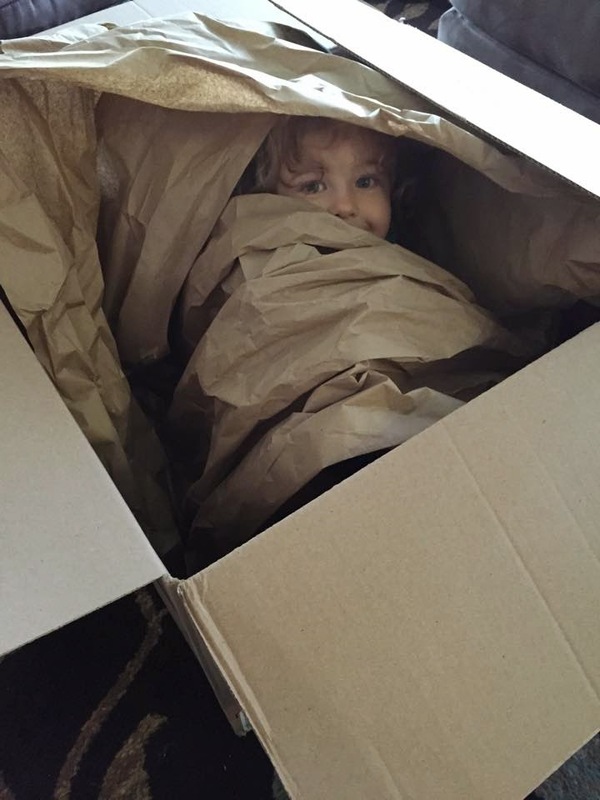 We now have a box big enough to ship a toddler. Thanks, Amazon! It was a battle of cats and toddler for the rights to the delivery yesterday, but Laila finally won out. She's already asked me to get it back out and put the bag of balls we have in it. Cheap entertainment for the evening. Ha! Today is National Coffee Day! It could be my new favorite day of the year! 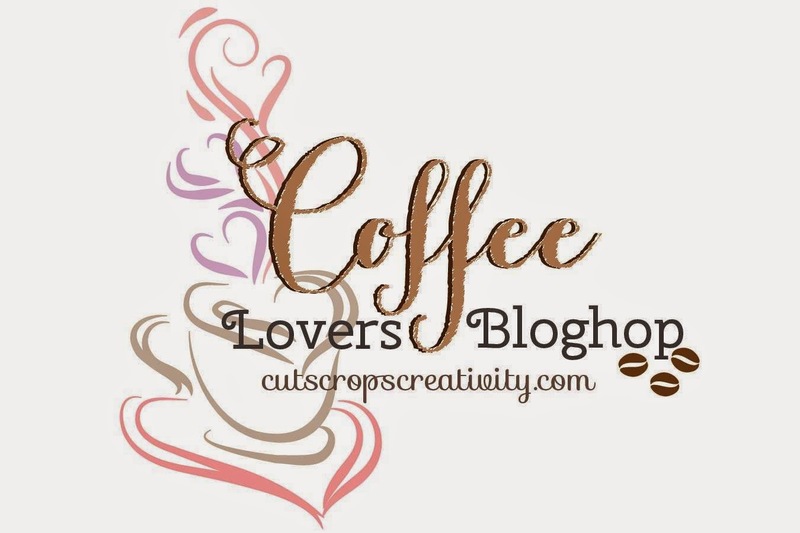 lol Chaitali is hosting a fun coffee-themed blog hop on her blog and I just had to join in! 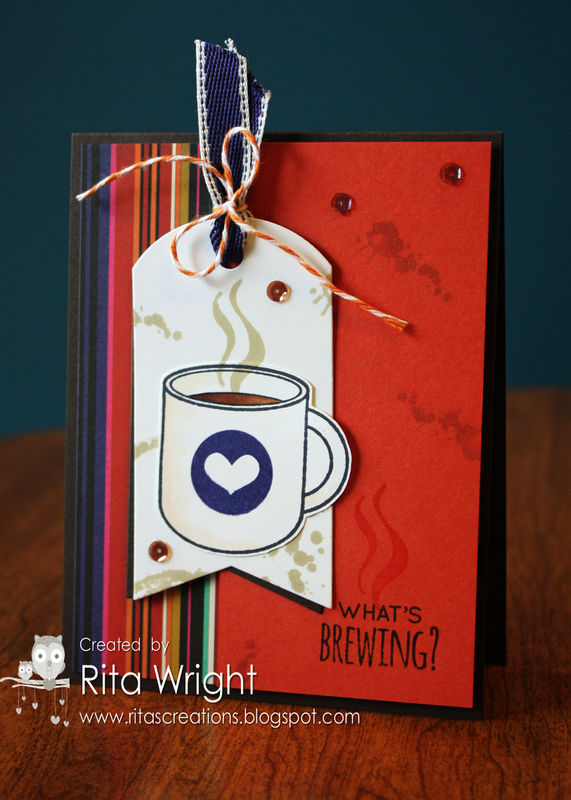 If you have time, you can whip up a coffee card and go join in as well! The linky is open until midnight and there are prizes to be won! I used a new Lawn Fawn set for my card. I love all the little cups and mugs that come with that set! So, so cute. They gave me a great opportunity to get some practice with my Copics. I used the current sketch at The Paper Players for my layout. I also want to enter it in the MarkerPOP Anything Goes challenge. 1. When did you start drinking coffee? For me, it was back in college. I worked almost full-time and took a full classload, so I needed all the help I could get staying awake. It really started to be an addiction when I got my first real job and had to wake up before 6am! 2. What is your favorite brand? I'm a huge Starbucks fan and love their Vanilla Macchiato, Pumpkin Spice Latte, Peppermint Mocha, and White Mocha. For home coffee, I love Green Mountain brands in my Keurig. 3. What is the most amazing coffee that you had? Remember when and where? Strangely enough, at a friend's house! Her husband is VERY into coffee and they have their own espresso machine. He buys the beans at peak time and grinds them fresh for each cup. I love going to visit, but even more so if they offer up a cup of that deliciousness! 5. If I don't drink my needed coffee, I will.... Kill someone? lol Just kidding...kinda. With a toddler in the house, I need it to wake up and keep up with her. If I don't have it, I will be fighting a headache and fall over of exhaustion (probably before 9am). Oh, and before I forget, I made a new Facebook page for my cards. 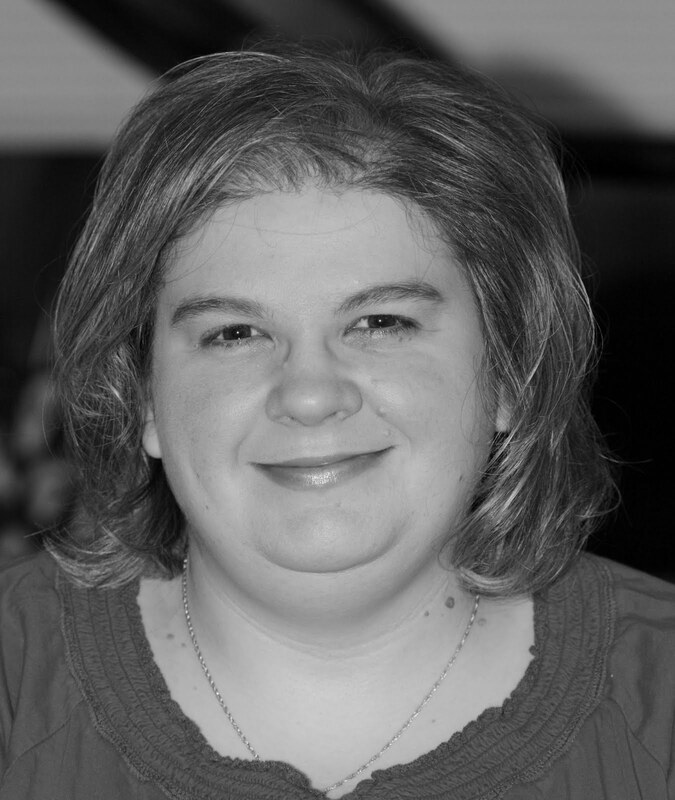 I'd love for you to come by and say hi! 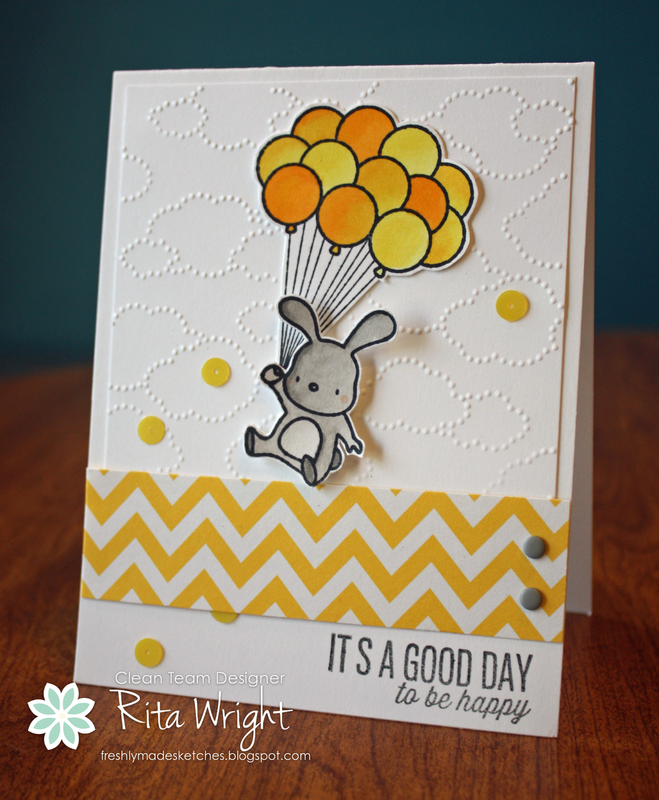 I got my new card kit from Simon Says Stamp, so I decided to use it for their Wednesday Challenge this week since it was anything goes. :) I love coffee stamps, so I was super excited to get this one! 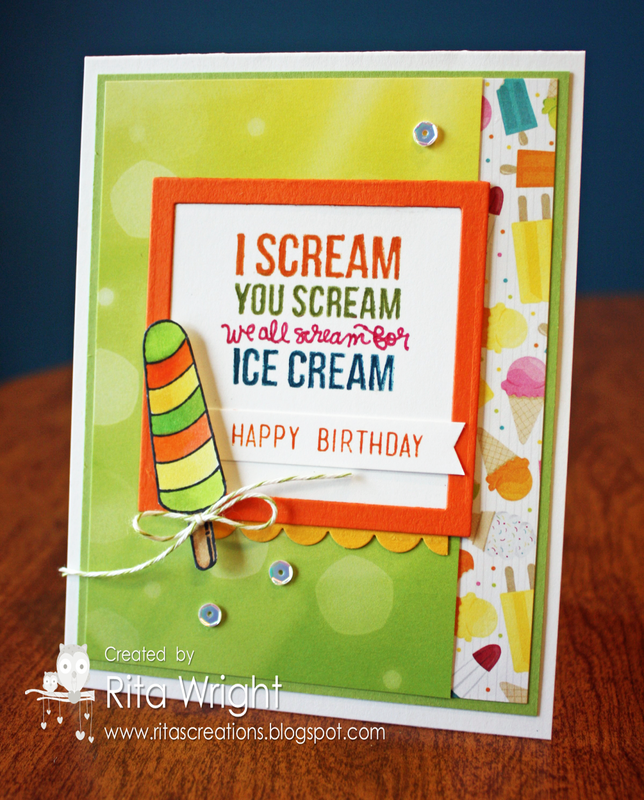 I used our sketch at Freshly Made Sketches this week for it too! We had a fabulous time at the zoo yesterday! The weather was so nice and Laila was very well-behaved. She rode the carousel five times and was actually okay when we left. Normally that's the meltdown point for us, so we let her ride it a few more times than usual. That seems to take away the novelty of it and we could go enjoy the rest of the zoo. It's Freshly Made Sketches day! Karren is our hostess and sketch creator this time and she made us a tag sketch. I was all excited about her sketch, but then fell short on time to make my card. I actually made my card in my head and then ran into my room when Laila went down for a nap and started making the paper version. Not too bad, huh?! 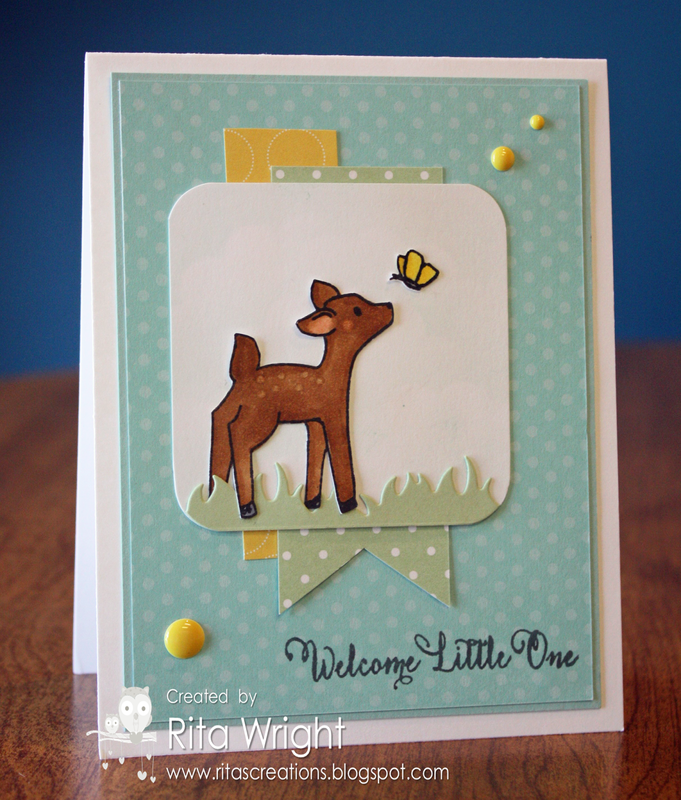 I needed a baby card, but when I saw the new Simon Says Stamp challenge on Flickr I decided to go with it instead. I'll be stamping up a baby card tomorrow now since I do need one this week. It is finally feeling a bit more like Fall down here, so I am loving the cooler weather. I've been feeling a little icky with allergies the past two days, but I'm crossing my fingers and hoping that my body adjusts to whatever is in the air soon. It seems like a lot of my friends are having the same problem, so it must be a bad allergy season around the country. Thankfully Laila has enjoyed snuggling and reading, so we've been doing a lot of that. 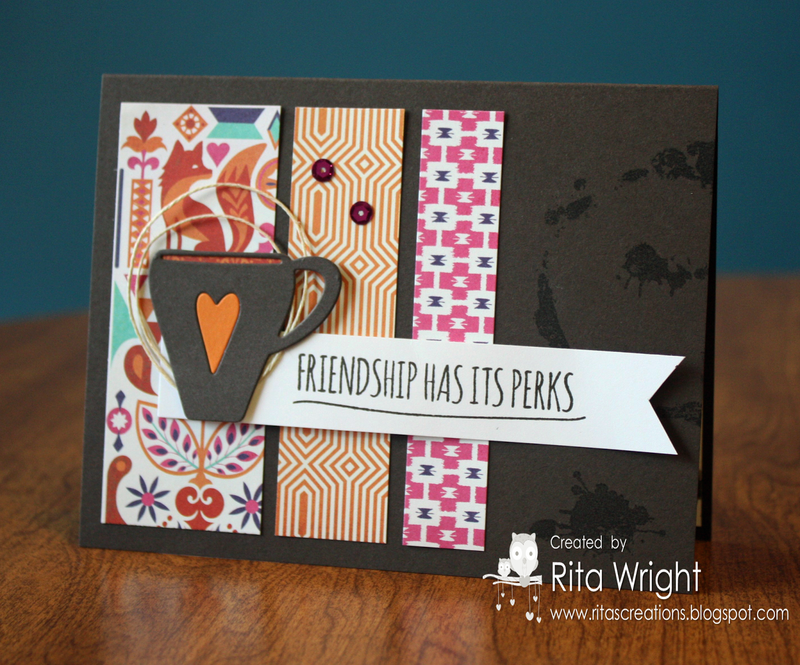 Labels: Freshly Made Sketches, Rita Wright, Simon Says Challenge, Simon Says Stamp Card Kit, Stampin' Up! I pulled the colors gray, yellow, orange, and green from the picture and used a brick embossing folder to mimic the texture of the wishing well. 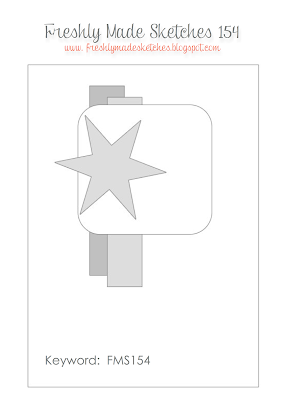 I thought I'd share one of my rejected cards for the week. 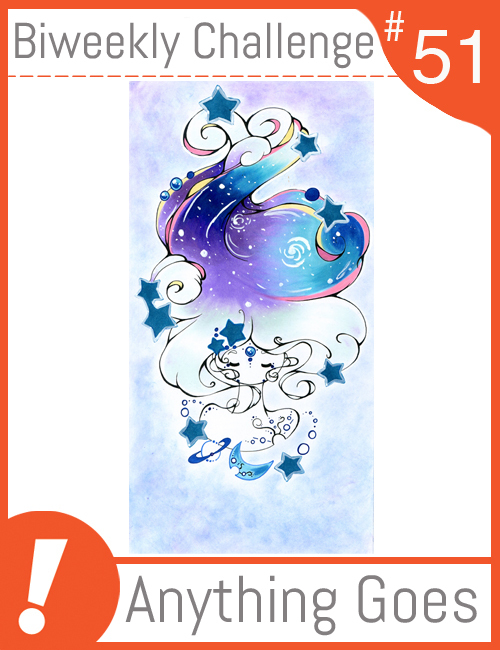 This was the first card I made for Freshly Made Sketches this week and I didn't like how it turned out at all. Sometimes that happens and we start over...and sometimes we start over several more times. lol I loved my second attempt, so thankfully I didn't muck it up too many times. I did sponge clouds behind my little fawn, but they don't really show up in the picture. It has been an extremely trying last few days. The new thing is to scream. It is getting old super fast, so we are trying our best to get her to stop. She has been testing us so much lately. I had three really good days with her, but it's not been so great since Jason's been home. I'm crossing my fingers that tomorrow is better. I have my stamping ladies over and it seems like both Laila and the cats are crazy on that day. I usually end up a big stressed out mess. The good thing is we already have plans to either go out or pick up dinner and all my supplies are prepped and ready. I just need to clean up a bit and make a yummy snack. I'm off to see what dessert or appetizer I want to try from Pinterest. Enjoy the rest of your weekend! Hugs! I never was a huge fan of tags, but I'm really starting to embrace them. Maybe being on the Freshly Made Sketches team with a tag lover like Jen Mitchell has rubbed off on me. 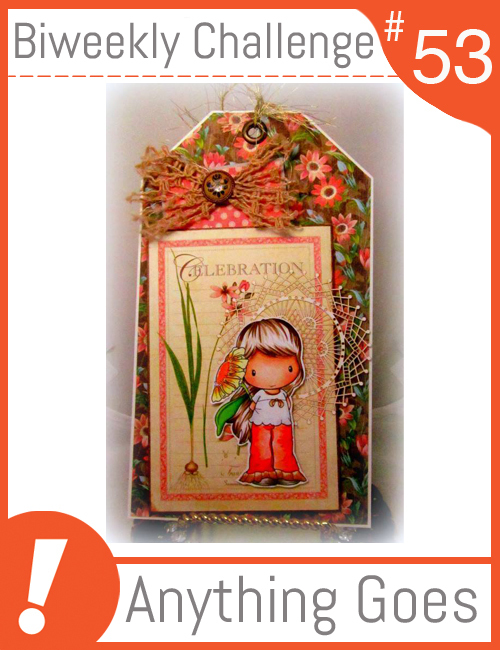 :) When I saw that the new Wednesday challenge on Simon Says Stamp was a tag challenge, I decided to play along. I am still using my last card kit and trying to get as much use of it before the new coffee themed one arrives this month. Woo Hoo! 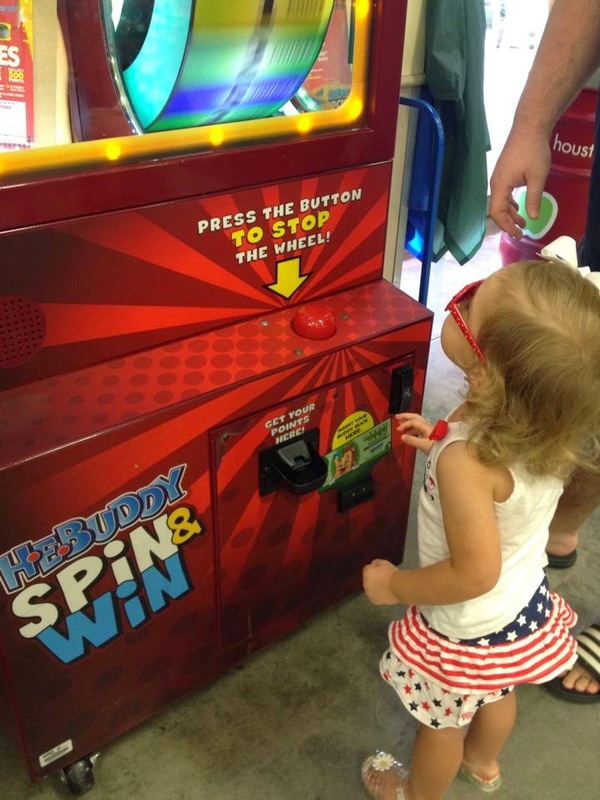 Someone LOVES getting to put her little "buddy bucks" into the machine and hitting the button. It's always a nice incentive to behave while we shop. ;) It's been rainy the past 2 days here, so we were all happy to be out a little this evening. 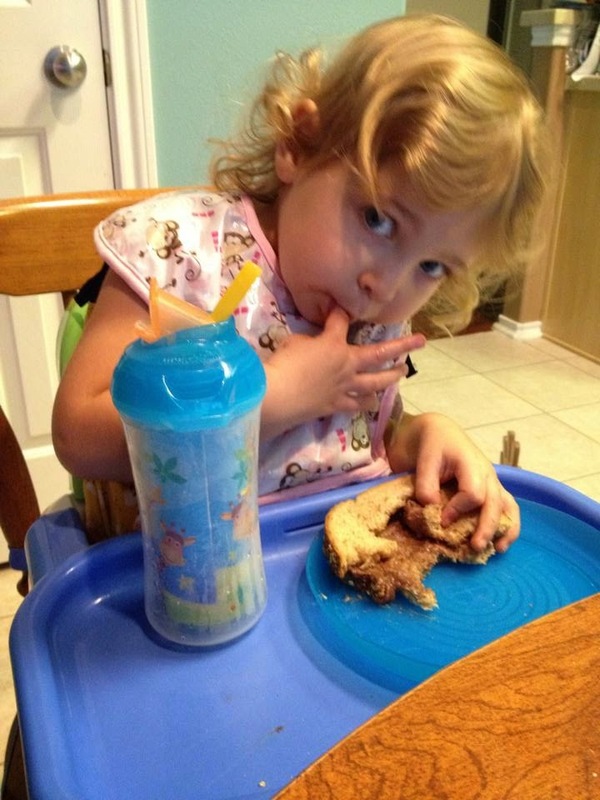 Laila says the best way to eat your peanut butter sandwich is to stick your fingers in and get out all the good stuff. Don't bother with the bread. ;) So silly. Today we are going to attempt watercoloring. It should be fun. It's also my first day to volunteer at the pet store with the cats that are up for adoption. I hope I can give lots of snuggles and not get too attached. 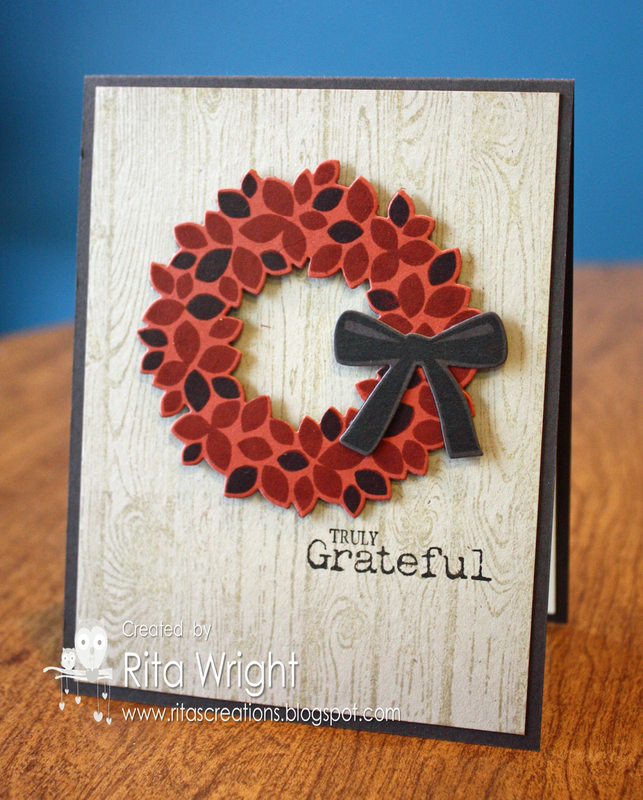 Labels: Four Feathers, Good Greetings, Rita Wright, Stampin' Up! I found a fun new way to play along with Simon Says Stamp! I am really enjoying their card kits, so I love to use those for the challenges they host. 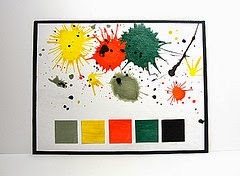 This one is on Flickr and was a color challenge. 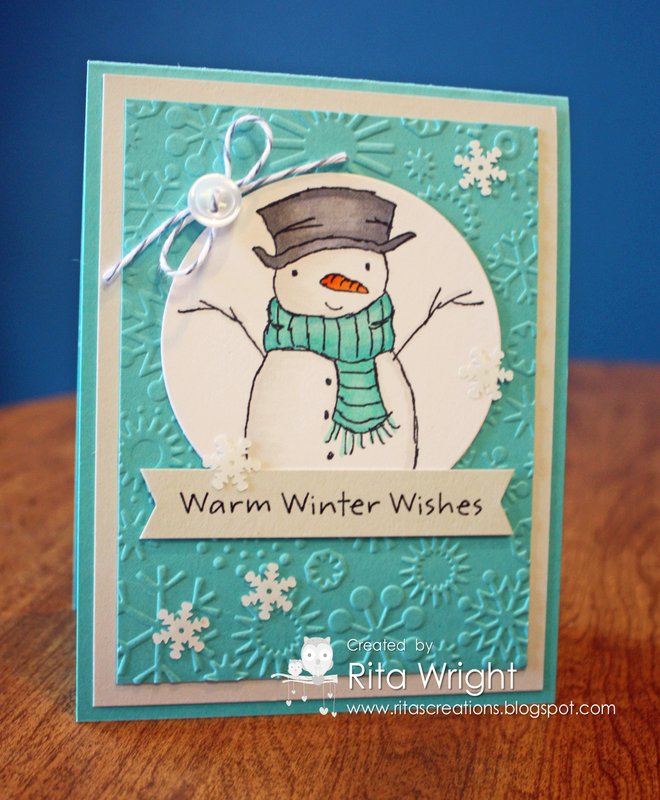 I used some of the papers that came in the last kit to make a simple card. I LOVE it! I find it hard to mix so many patterns, but I like how it turned out. :) I hope I got my colors close enough. They looked different on the monitor in my stamp room. I guess it's a good thing that I'm not doing events outside of my home now. 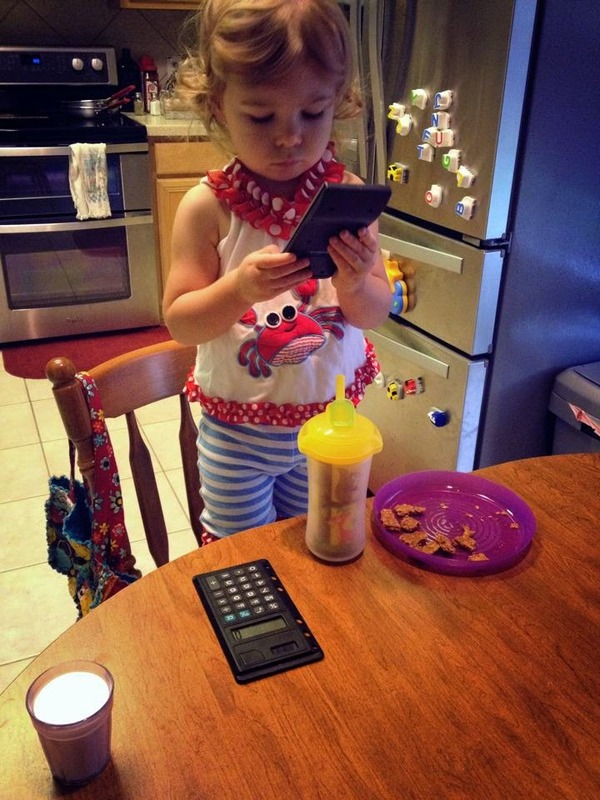 I seem to have lost both my calculators to a toddler. ;) Out of all the fun goodies in my stamp room, that's what she had to have to bring out. I seem to pull out this Wonderfall set a lot lately, but it just seemed so perfect for this week's sketch at Freshly Made Sketches. Cindy L. created such a fantastic sketch and I enjoyed creating with it so much. I dusted off some old designer paper that I bought way back in my first year as a demonstrator. Do you remember it? I LOVE it. It's heavier than normal patterned paper and so nice. I tend to hoard it, but man! I have SO MUCH paper. It is time to show it off! 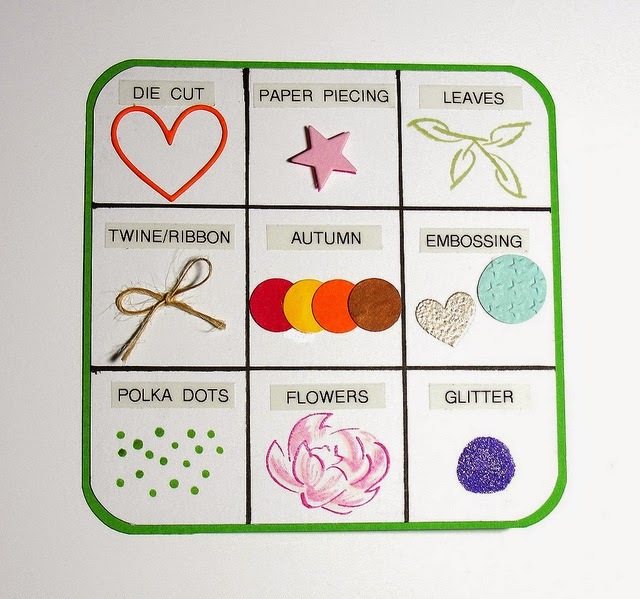 Do you have a favorite paper that you can't seem to cut into? 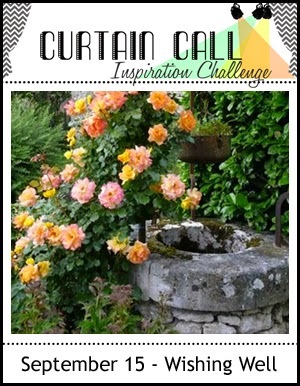 Try it with our sketch this week and let me know that you did. I'd love to see it! Pardon the messy hair. She will not leave a bow in and it gets out of control. She found this bag while we were in my stamp room yesterday and she just had to have it. She cracks me up because anytime she puts on a purse, she keeps her arm up so that it doesn't fall off. It's so adorable. I wanted to ink up my new coffee set from Lawn Fawn, so I thought the new challenge at MarkerPOP was perfect for that. 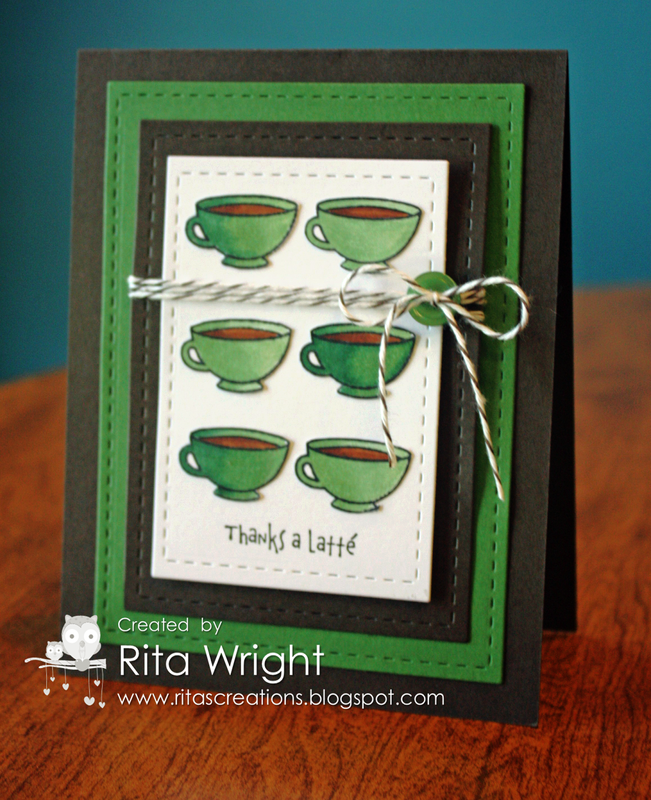 I love using greens for coffee cards! I stamped, colored, and cut out this little image a few times and layered it on some rectangles that I cut from my Lil' Inker stitched rectangles dies. Love those! Sometimes you need stop eating lunch and go sweep. 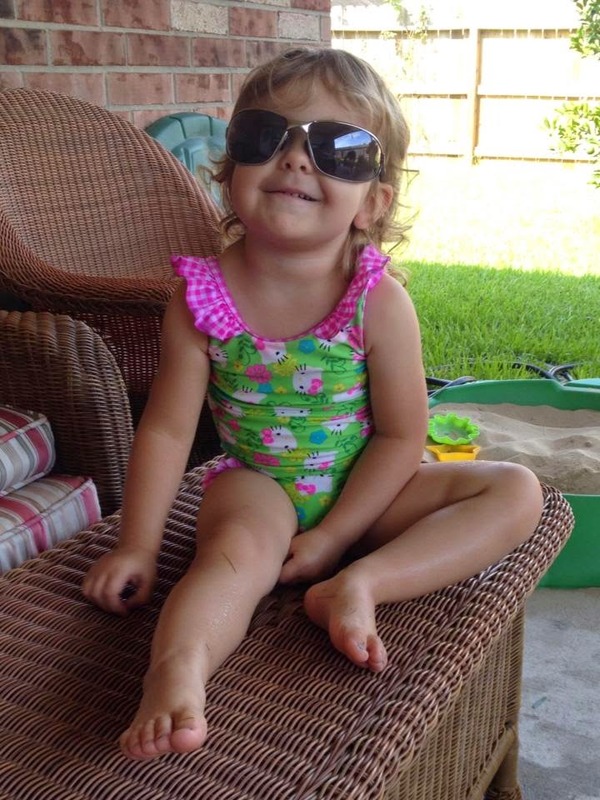 She's so silly! She has been so sweet and snuggly this week. I love it! 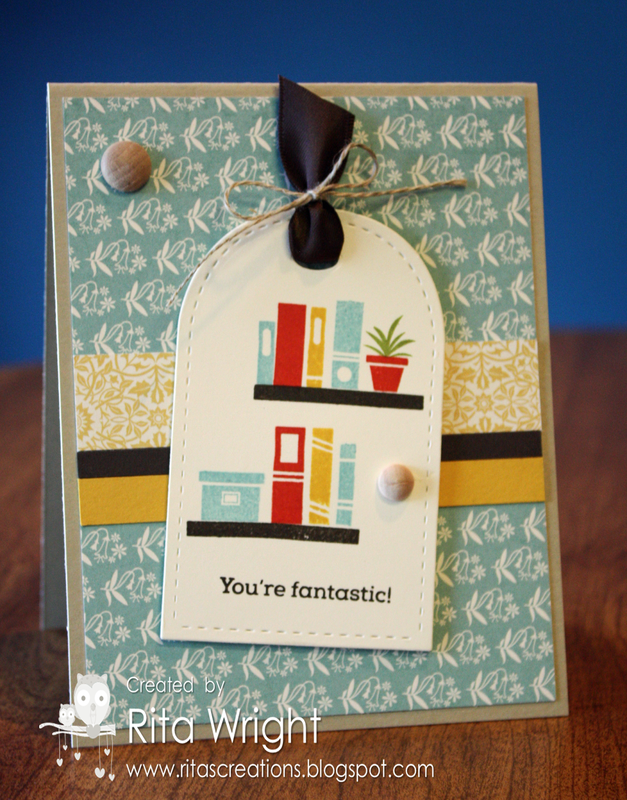 Labels: Copics, Lawn Fawn, Lil' Inker, MarkerPOP, Rita Wright, Stampin' Up! Simon Says Stamp's Wednesday Challenge was to make your own background. They are showcasing Gelatos over on the blog, so I thought I'd pull out mine and try them again. I still don't think I have the hang of it, but it was fun to play with them. I paired the purple I used with the darker Concord Crush color. It's retired, but still one of my favorite purples. I popped up my diecut you on dimensionals to give it a little more depth. 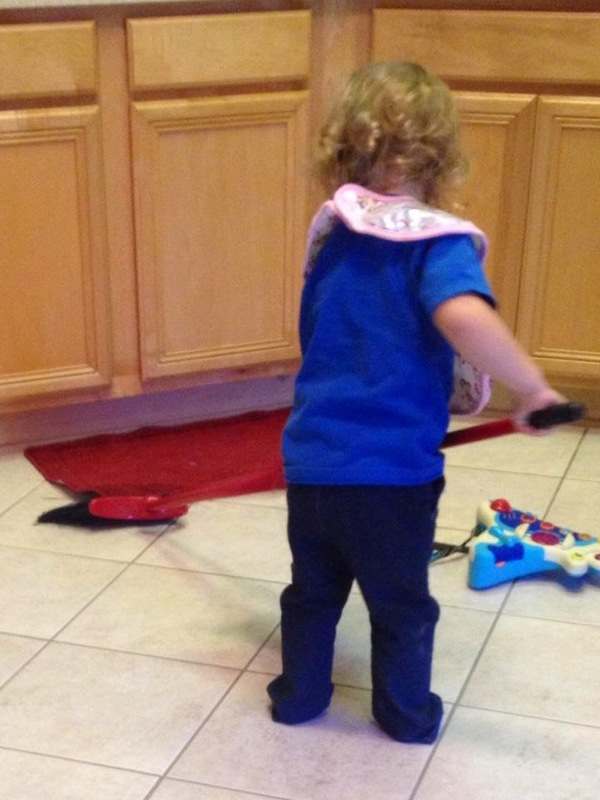 She came clopping through the house with Jason's shoes on the other night. 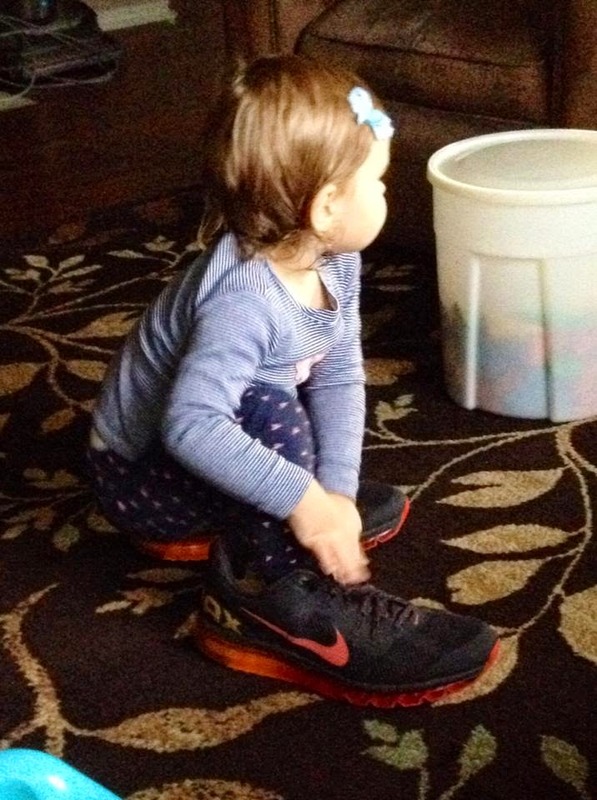 That girl loves her some shoes. We struggle to find ours now because she's always put them on and walked off with them. 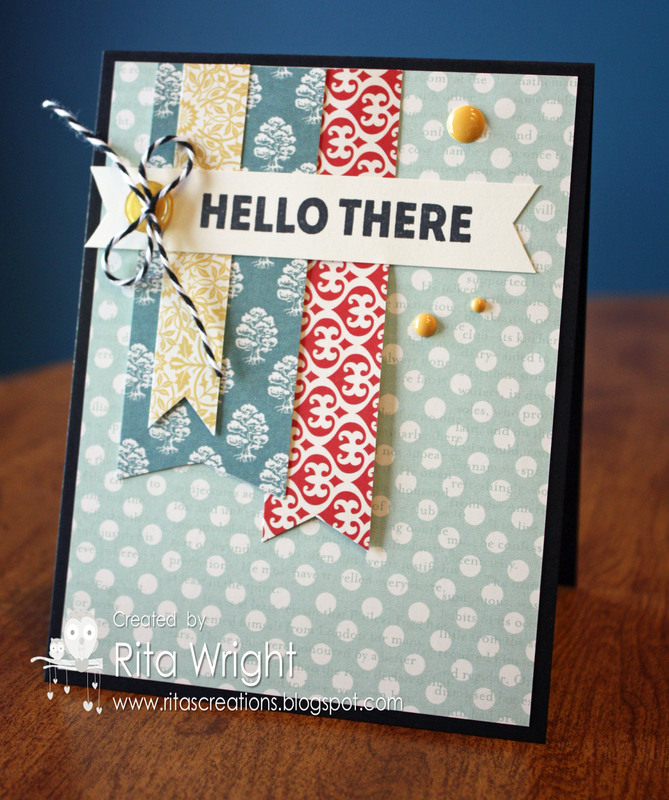 Labels: Dictionary, Rita Wright, Simon Says Challenge, Simon Says Stamp, Stampin' Up! I have my monthly stamping group next Sunday, so I started working on some samples for it today. We are going to make up some fall projects, so I decided to use my new wreath set for Fall. I went through a ton of colors and different combinations until I finally just decided to go simple with Cajun Craze and Early Espresso on a Crumb Cake background. 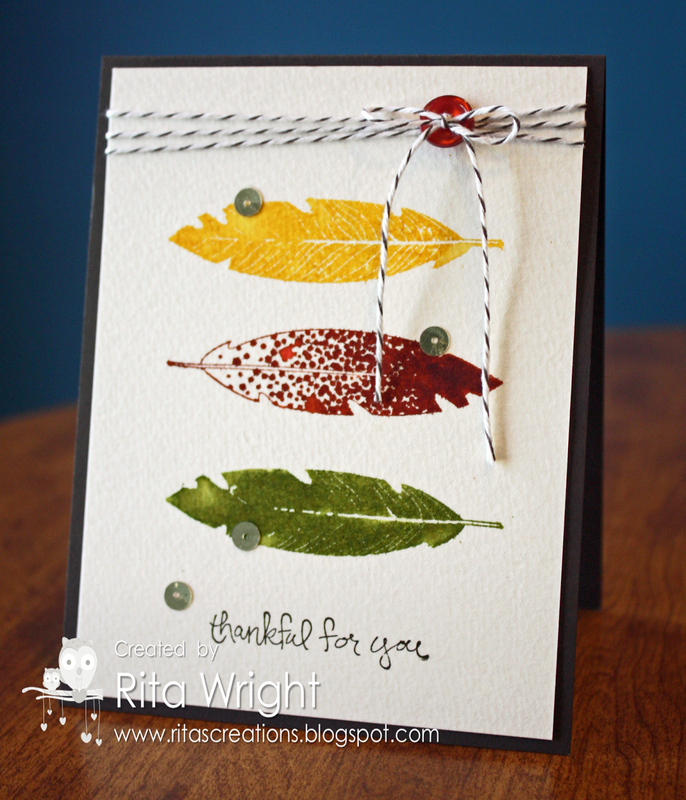 It's a simple card, but I think it's pretty for Fall. I hope my ladies enjoy making it and learning how Stampin' Up! really improved the stamping and cutting of this set. 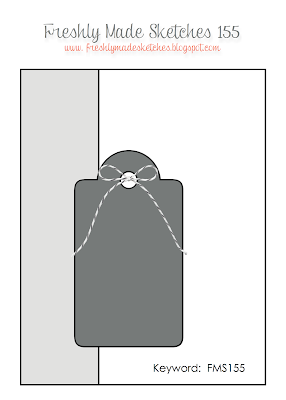 There's a notch on each of the 3 layers of the wreath and on the coordinating framelits so you know exactly where to place them. It's SOOOOO nice and much less frustrating than some other sets I have. 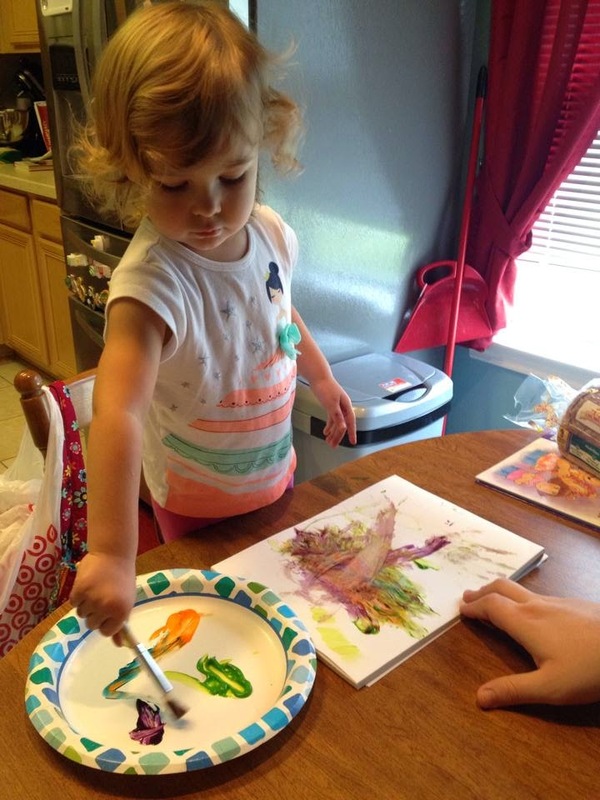 We had some family art time yesterday. 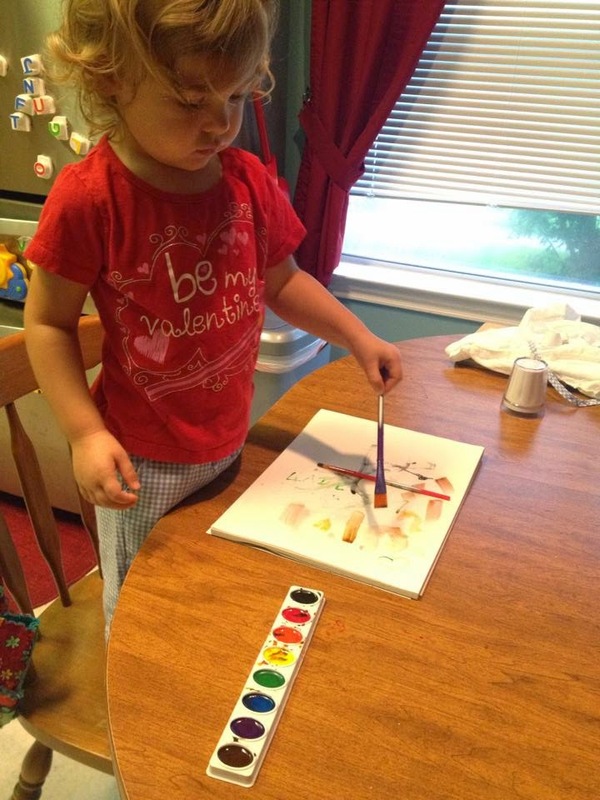 :) She's doing so much better with coloring and painting, so maybe that coordination is finally developing a bit. 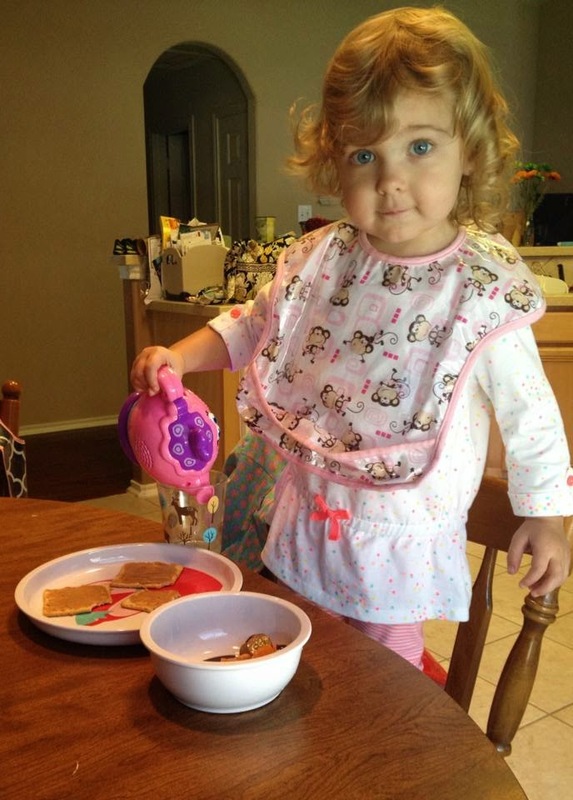 She still uses both hands, so we have no idea when we'll know which she'll prefer. Jason is a leftie, so she sees us using different ones. I'm headed back outside to enjoy the cooler weather before it warms back up tomorrow. It's actually in the 70s! It's in the 70s here, so bring on the snowman stamps! lol I just got some new goodies from My Favorite Things, so I thought I'd paly along with their current sketch challenge. I'm a bit in love with this snowman stamp already. He's fun with Copics. Isn't that a fun sketch? I thought it worked great with my new stamps! I need to make a card using a wreath, so I think I'll be using it again for that. 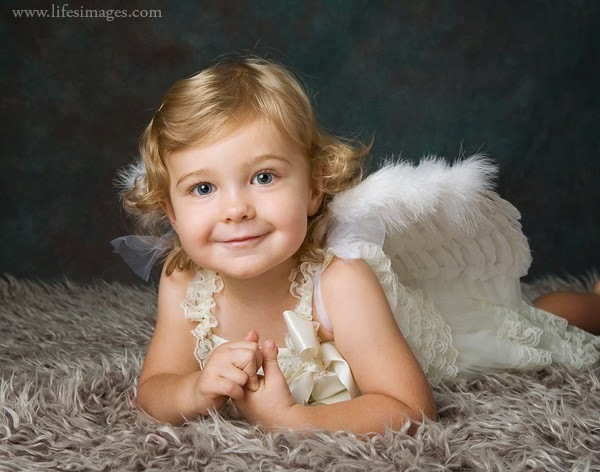 Here's Laila's other picture we picked from her Hope Calendar shoot. She looks ready to fly! Now we are about to head out for a family breakfast at Panera and then grocery shopping. Have a great Saturday! I saw an awesome sketch on Pinterest and decided to go check it out. 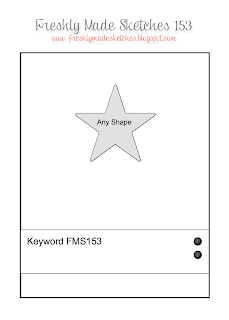 I found it was actually an awesome challenge on the Taylored Expressions website. I have several of their sets on my wishlist, so I was excited to play along. 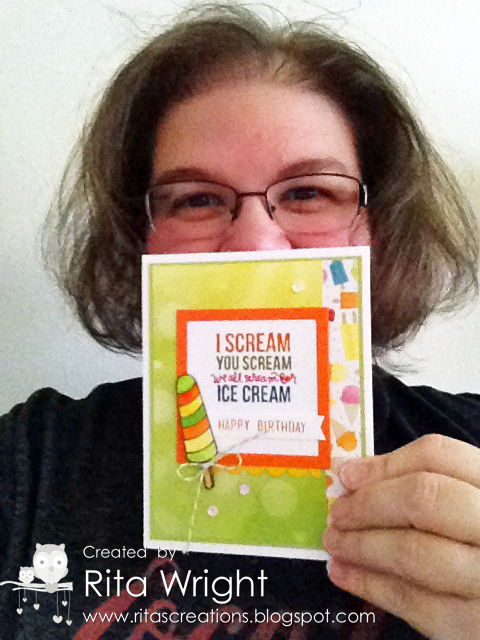 Part of the challenge was also taking a selfie with your card and mailing it to someone you love. It just so happens that my college roommate has a birthday that I need to acknowledge. She was like a sister to me for the time we lived in the same town and I still love her to pieces. Happy Thursday! I hope your week has been a good one and you are ready for the weekend. We are supposed to get a "cold front" here in Texas tomorrow, so it might acutally NOT be 90 this weekend. Woo Hoo! I think rain is in the forecast with it, but oh well. I'll take the cooler temperatures. I went and stamped a little after dinner tonight and this was my card. 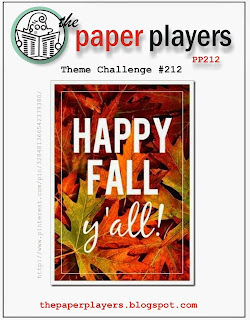 I made it for the Fall challenge at The Paper Players. I tried to use the sketch from Mojo Monday but I was dealing with Laila trying to take my chair and I missed part of the sketch. I used the new Winnie & Walter set that I won last week and I love it. The sentiments are just so beautiful. 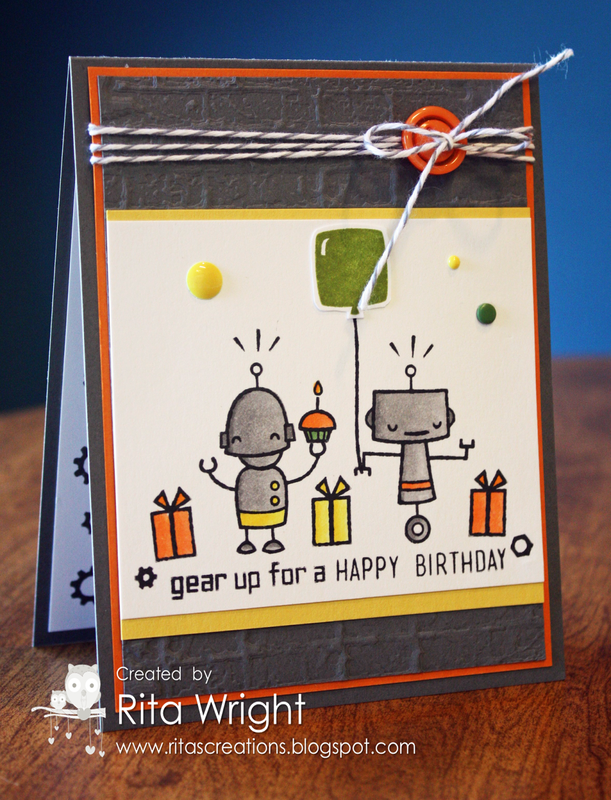 I don't know how many of you read the Simon Says Stamp blog, but go check this out! I was so excited today! 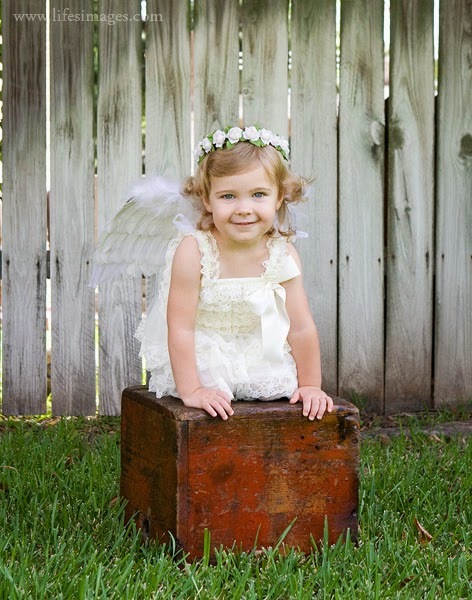 We got our Hope Calendar pictures this week and I love this one so, so much. I can't wait to send off for prints so I can send it out to our family. Today was an eventful day. She's been crawling under the last gate we have up so we decided to go ahead and take it down. Oh my! She doesn't want to leave my craft room now and she insists that my chair is hers. lol I might be sitting in a folding chair stamping for a while. ;-) She also (out of nowhere) knows how to open doors. I knew that would happen soon, but man! We've been working to make sure any and all chemicals are put away in every room now because she can go anywhere really. Crazy how fast they grow and learn new stuff.